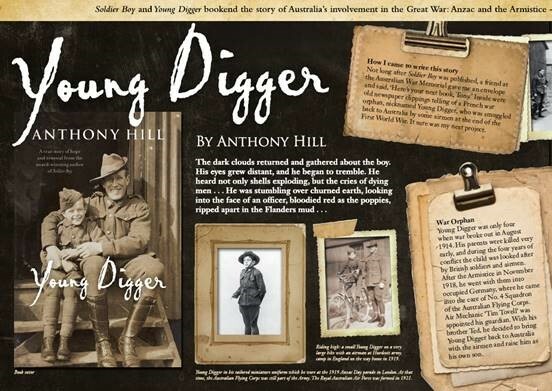 Anthony Hill is a multi-award-winning, bestselling author. 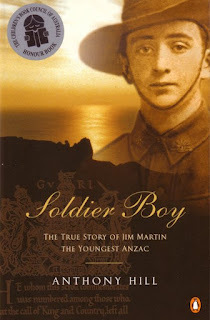 His book, Soldier Boy, about Australia's youngest known Anzac, was the winner of the 2002 NSW Premier's Literary Award for Books for Young Adults. 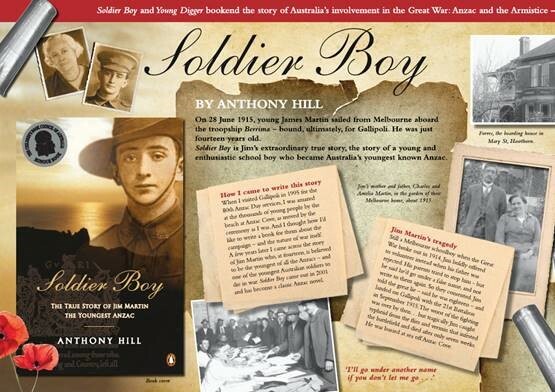 Other Anzac themed books for young people include Soldier Boy, Young Digger and Animal Heroes. All still in print. 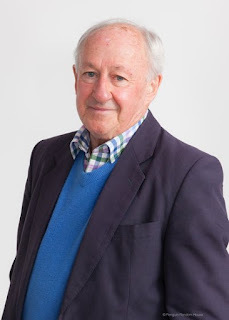 Anthony has had a varied career; he has been a newspaper and television reporter, political journalist, antique dealer, speech-writer for Australia's Governor-General, and now is a full-time author, living in Canberra with his wife, Gillian. 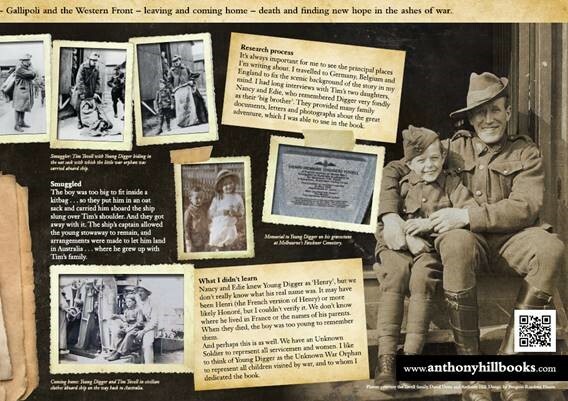 On 28 June 1915, fourteen-year-old James Martin sailed from Melbourne aboard the troopship Berrima – bound for Gallipoli. Soldier Boy is Jim's extraordinary true story of a young and enthusiastic school boy who became Australia's youngest known Anzac. 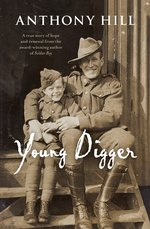 Published by Penguin Books, ISBN: 9780141003306, buy it here. 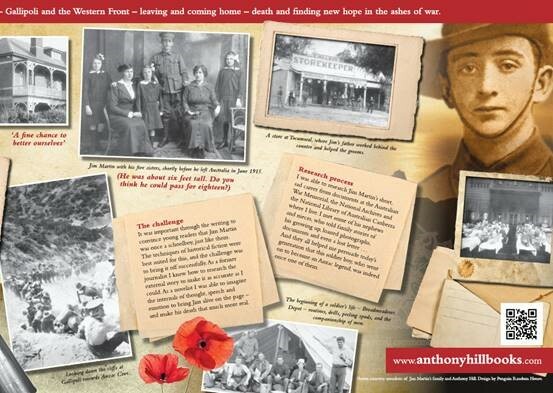 Published by Penguin Books, ISBN: 9780670079292, buy it here.